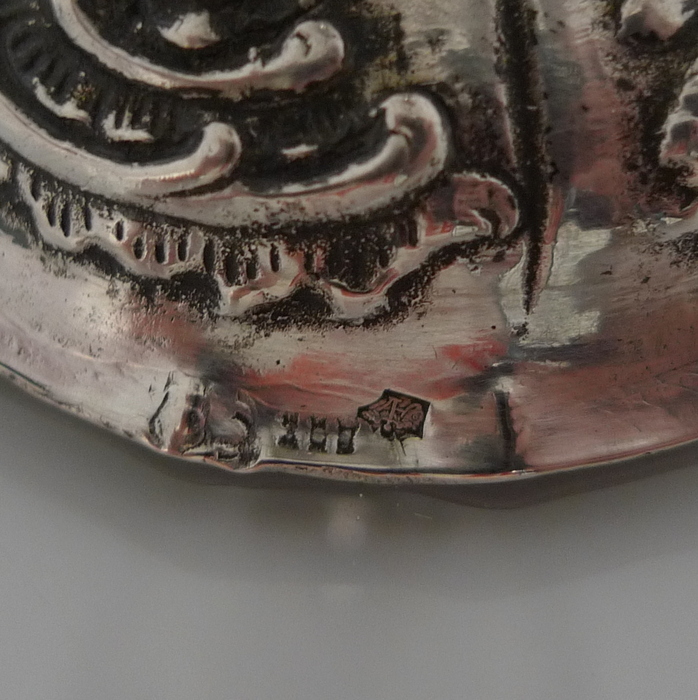 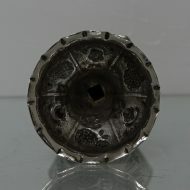 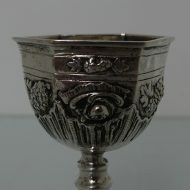 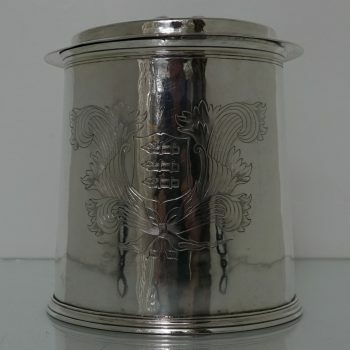 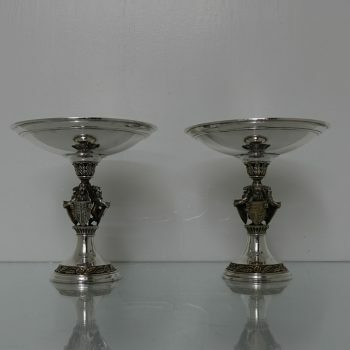 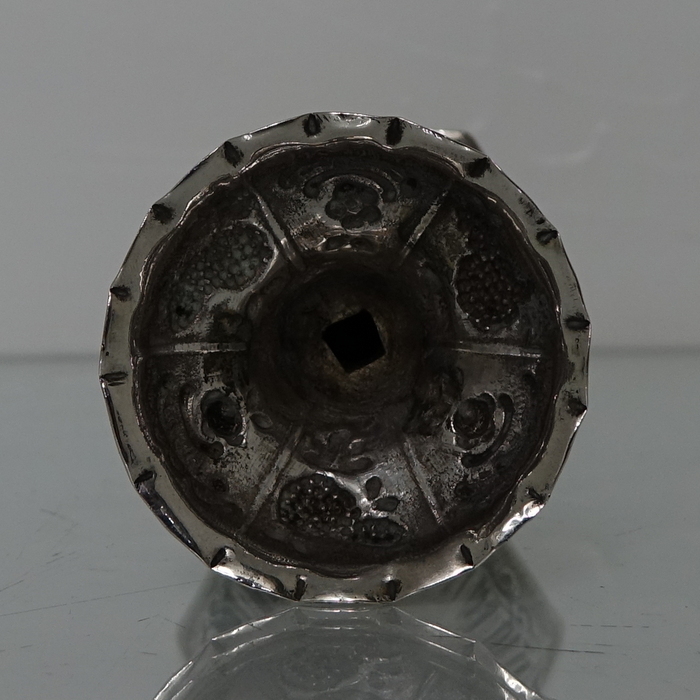 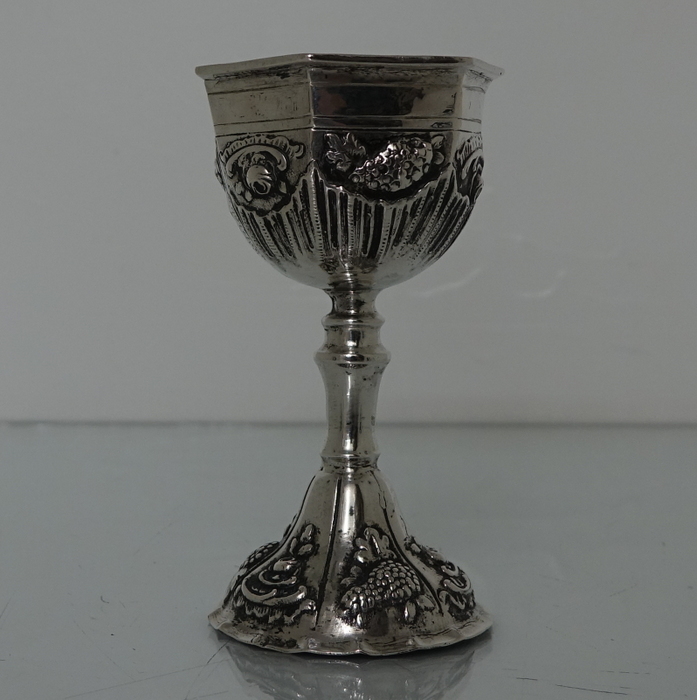 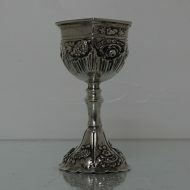 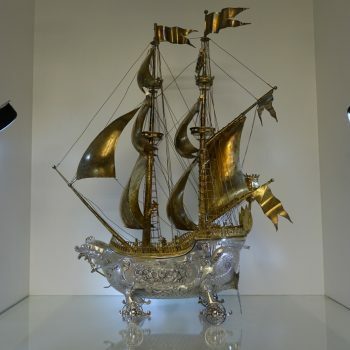 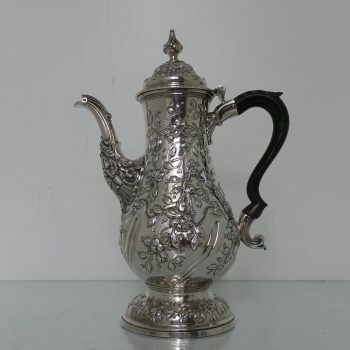 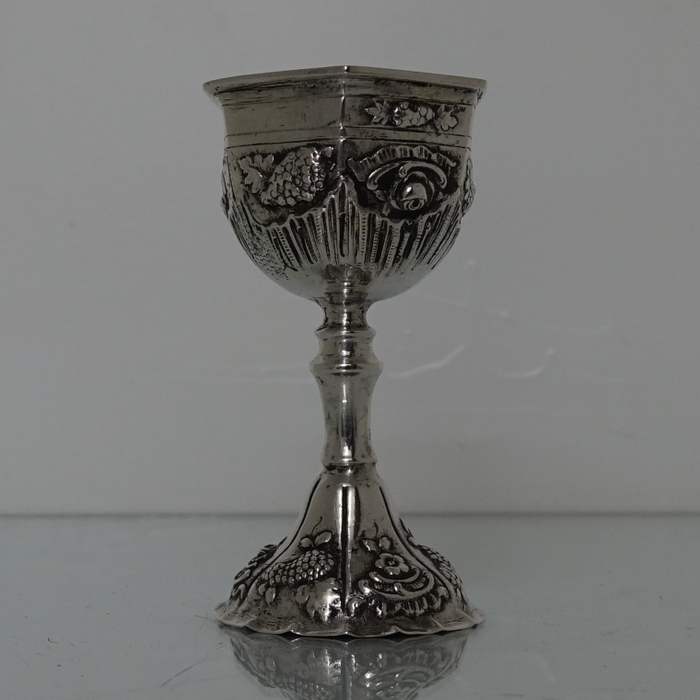 A very elegant antique cast formed kiddush cup. 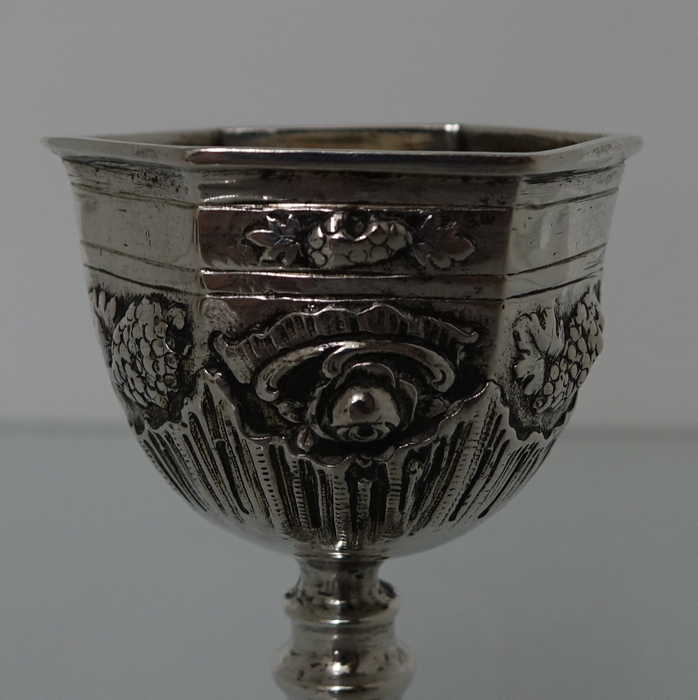 A very elegant antique cast formed kiddush cup. 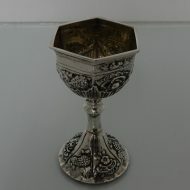 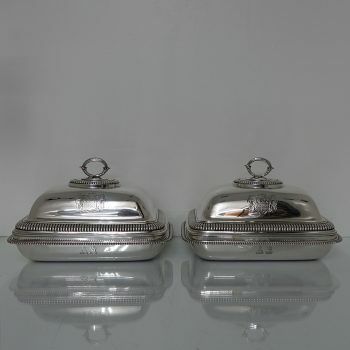 The bowl of the cup is octagonal in design and has floral motifs set on a matt background. 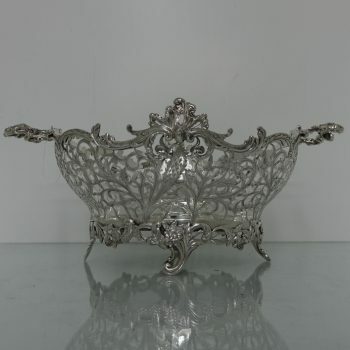 The foot is circular with additional floral motifs for stunning lowlights.